Researchers at UH Mānoa's Hawaii Institute of Marine Biology (HIMB) found that these large pollution sources are not only increasing genetic differentiation between populations but also decreasing the genetic diversity of populations closest to them. In short, human beings are directly affecting the ecological and evolutionary trajectory of a species that is relatively free of any direct human impacts. The Bat star (Asterina miniata). Rapidly growing human populations near the ocean have massively altered coastal water ecosystems. One of the most extensive human stressors is the discharge of chemicals and pollutants into the ocean. These discharges transport large loads of known and unknown contaminants including heavy metals, chlorinated hydrocarbons, petroleum hydrocarbons, nutrients, and bacteria, that have shown to be toxic to marine life, including both adult and larval (early development) stages. 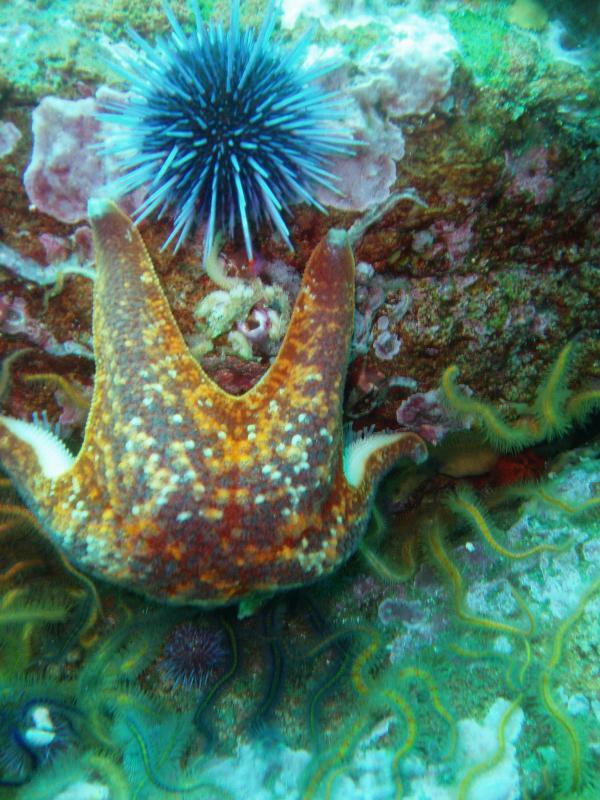 Most marine organisms such as sea stars (starfish) do not move among locations as adults; instead juveniles swim in the plankton before settling onto the sea floor and growing into a sedentary adult. They found that these large pollution sources are not only increasing genetic differentiation between populations (presumably by limiting the dispersal of larvae between them) but also decreasing the genetic diversity of populations closest to them.